Although the exact origins of Tyre are unknown, it probably goes back to the start of the 3rd millennium BC. Originally a mainland settlement with an island city a short distance offshore, in the 10th century BC King Hiram expanded the mainland and built 2 ports and a temple to Melkart, the city’s god. Towards the end of the 6th century BC under the reign of the Persian Darius, the city experienced its golden age. Its flourishing maritime trade, its Mediterranean and Atlantic colonies and its purple dye and glass made Tyre very powerful and wealthy. But the city’s wealth attracted enemies. In the 6th century BC Alexander the Great laid siege to it for 7 months, finally overwhelming he island city by constructing a great causeway from the shore to the island. In their day the Romans built a magnificent city at Tyre. The remain of its Roman streets, arcades and public buildings, including one of the largest hippodromes of the period, are Tyre’s major attraction today. 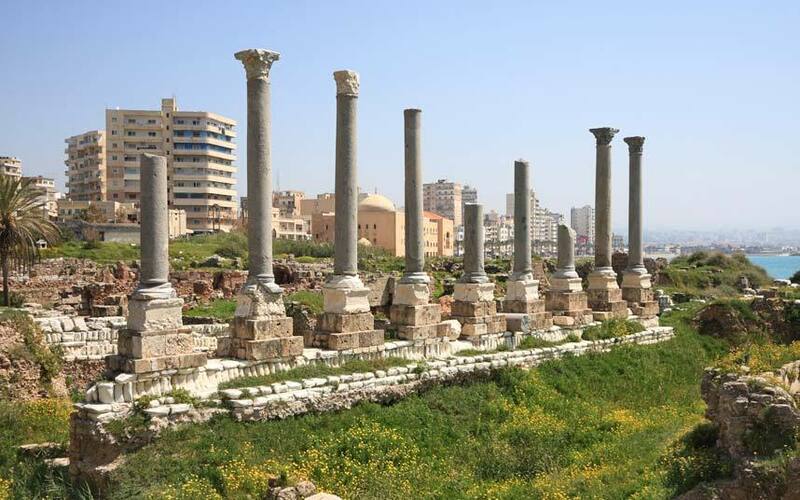 In 1979 Tyre’s important archaeological remains prompted UNESCO to make the town a world heritage site. 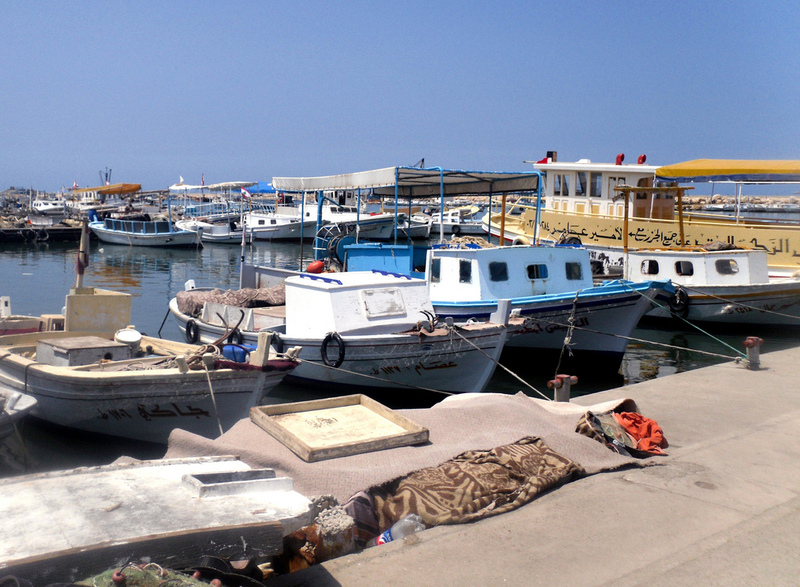 It was towards the end of the 6th century BC, that Sidon experienced its golden age. Made capital of the Fifth Province of the Persian Empire, Sidon was an open city with many cultural influences, including the Egyptian and Greek. The crusader period, between 1110 and 1291, brought Sidon new prestige as the second of the baronies of the Kingdom of Jerusalem. Today the ruins of the Crusader Sea Castle and the Castle of Saint-Louis can still be seen in Sidon. From the Mamluke and Ottoman periods we have the Great Mosque, built on the foundations of a Crusader church and the khan-el-Franj built by Fakhreddine II. A red-roofed town set among the eastern foothills of Mount Sannine.The city center spreads along both banks of the Bardouni River, with the older section of town on the upper elevations of the west bank and the shopping district on the east bank. 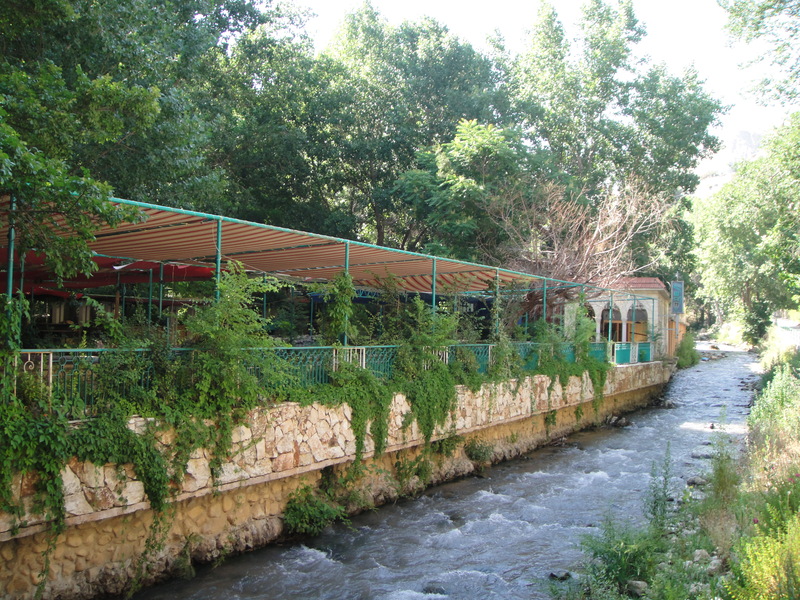 Zahle is famous for its good food and it’s a good idea to have a meal in one of the restaurants along the Bardouni river and taste the traditional Lebanese mezze. A tour of Zahle’s winery is a good way to see how wine and arak are made. Of special interest here are the extensive underground caves built around a natural grotto known and enlarged by the Romans. 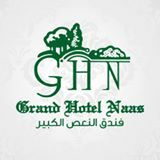 Is nested in a plain between the parallel ranges of Lebanon and Anti-Lebanon mountains, some 85 kilometers north-east of Beirut. It is one of the world’s greatest historical sites, the most gigantic complex of Roman temples ever built; its columns are the tallest ever created, its stones the largest ever used. The Acropolis of Baalbeck is the largest and best preserved corpus of Roman architecture left to us. Its temples, dedicated to Jupiter, Venus and Bacchus (larger than Parthenon in Athens).were built in the second and third centuries AD. Baal-Bek, or town of Baal (who was a Phoenician god) gave the name to the town that is still in use. For a number of years Baalbeck’s flooflit mercurial columns presided over the annual renowned international festival which featured theater groups, orchestras, ballet troupes and performers from all parts of the world. Unlike other historical sites in Lebanon, Anjar portrays exclusively the Umayyad period. Therefore, it is relatively a new comer since other Lebanese sites were founded millennia ago. Walid the first son of Umayyad Caliph Abd El Malak Ibn Marwan, was believed to have built the city between 705 and 715 AD. Among the main attractions of Anjar are: The Great Palace, The Little Palace, The Public Bath. The second largest city in Lebanon, located 85 km north of Beirut. Forty five buildings in the city, of which some are dated from the 14th century BC, have been registered as historical sites. 2. The Great Mosque (Al Mansouri Al Kabir Mosque). 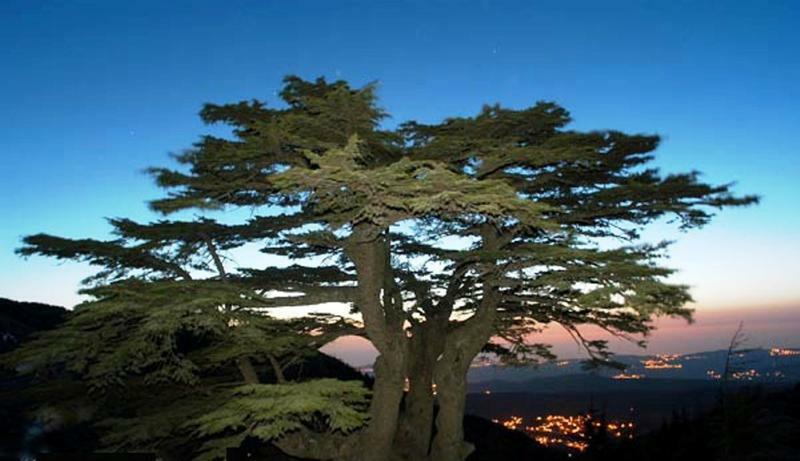 The Cedars of Lebanon were famous throughout the ancient period for their priceless beauty and incredible strength. Solomon’s temple was built from the cedar trees as were the Phoenician ships that traveled to far distant shores. The immense and wondrous cedar forests of ancient times no longer exists. Only isolated patches are found today. They are the oldest now in Lebanon where about 375 Cedars of great age stand in the sheltered glacial pocket of Mount Makmel. Their stature and magnificence give an accurate idea of their once splendid beauty. Today, the Cedars is known more for its famous skiing resorts. The ski settlement is one of the highest ranges in Lebanon, ensuring that from December through April, the mountains are covered with snow. Gibran Museum in Bcharre, is dedicated to Khalil Gibran the late 19th century poet and artist. The museum contains hundreds of his drawings and paintings. The museum is opened everyday except Monday from 9 to 17.Admission is 2000 L.L. The 6200m long cavern was discovered back in 1836.The are plenty of grottoes with stalactites and stalagmites in the world, but it would appear that none of them even approach the astounding wealth or the extent of those of Jeita. Over a distance of 650 meters, at two levels, the lower one in a boat and the upper one on foot, following perfectly made cement gangways, the tourist picks his winding way through darkly forbidding caverns. The lower grotto is full of the noise of water, through which you pass in a boat managed by a mariner skilled at sliding through the maze rocks. From the lower grotto, where you arrive by car, you can take the teleferic to the entrance to the upper grotto for an Alice’s tour through Wonderland. The most striking, the most spell-binding, is the upper grotto, where there is only occasional drop of cold water which is the result of niggardly drippings which have gone on for thousands of years. 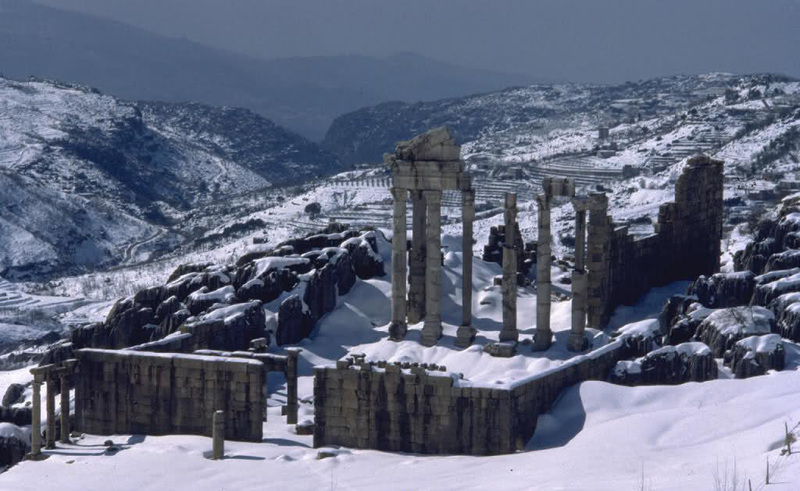 Situated in Mount Lebanon, at an elevation of 1550m, Faqra is unique for its remarkable remained monuments which included: temples, columns, altars and rock cut tombs. Its uncommon setting and the abundance of its cool mountain flowing have incited the earliest civilizations to build temples and altars to worship their god. The visitors were mostly impressed by its sensational ruins particularly by the great temple of Faqra that is partly cut out of the living rock and rises in a spectacular location. Moreover, you cannot pass by Faqra without admiring the nature most spectacular wonders, a bridge called “Jisr al-Hajar” or the “Stone bridge” with an arch measuring 38m. Furthermore, Faqra is known today for its private ski resort with its 2,000,000 meters square overlooking Beirut and the Bay of Jounieh.